Catherine Ann Hearne Perkins, age 87, resident of Oakland, Tennessee and wife of the late William Dallas “Bill” Perkins, departed this life Thursday evening, January 24, 2019 at Quail Ridge Alzheimer’s Special Care Center in Bartlett. A Funeral Service for Mrs. Perkins was held at 1 P.M. Monday, January 28, 2019 at Peebles West Funeral Chapel at Oakland with Bro. Carl Vickery, pastor of the Kingdom Hall of Jehovah’s Witnesses in Senatobia, Mississippi, officiating. Interment followed in the Fayette County Memorial Park Cemetery on Highway 64. Arrangements were provided by Peebles Fayette County Funeral Homes & Cremation Center – West Chapel at Oakland. Catherine was born September 2,1931 in West Helena, Arkansas, the daughter of the late Herbert Hurkless Hearne and Willie Iris McCracken Hearne. She was a graduate of Messick High School in Memphis Class of 1950 and was married August 26, 1954 to William Dallas “Bill” Perkins. She was a homemaker throughout her life and a longtime resident of the West Tennessee area. Catherine was a member of the Kingdom Hall of Jehovah’s Witnesses in Oakland and she enjoyed sewing, gardening, traveling, cooking and special times with her family. 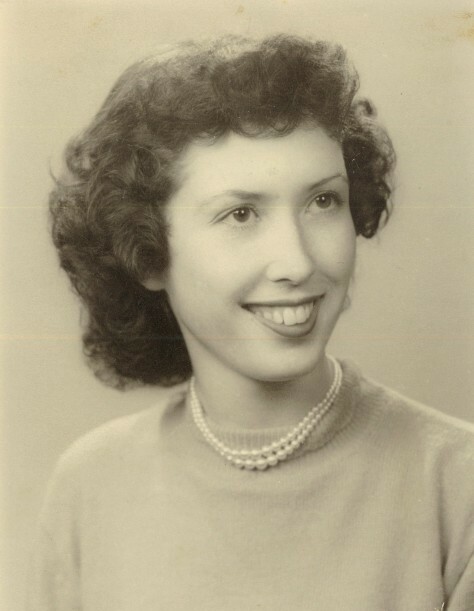 Mrs. Perkins is survived by three daughters, Donna Perkins Blizzard (Randy) of Arlington, TN, Rhonda Perkins Lunsford (Bob) of Oakland, TN, Elizabeth Perkins Pruitt (Gene) of Marion, NC; her son, William “David” Perkins of Oakland, TN; her sister, Barbara Vickery of Senatobia, MS; twelve grandchildren, fifteen great-grandchildren and one great-great-grandchild. She was preceded in death by her husband who died February 20, 2016 after 61 years of marriage, William Dallas “Bill” Perkins; her parents, Herbert Hurkless Hearne and Willie Iris McCracken Hearne; and her brother, James Herbert Hearne. Those honored to serve as pallbearers were Bobby Lunsford, Daniel Lunsford, Matthew Lunsford, Phillip Blizzard, Michael Blizzard and James Pruitt. Honorary pallbearers included Russell Rand. The family requests that memorials be directed to the Kingdom Hall of Jehovah’s Witnesses, 7800 U.S. Highway 64, Oakland, TN 38060.